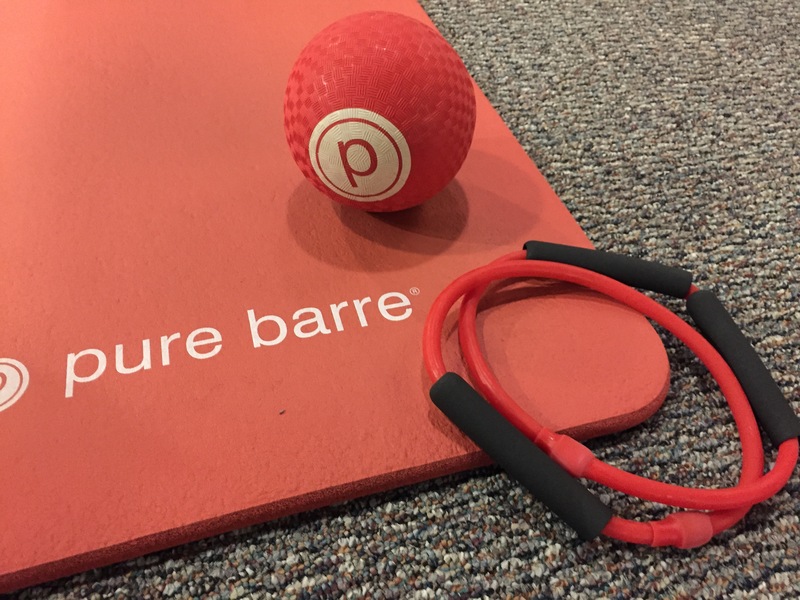 I first tried barre3 [Powell] about a year ago when there was a community class posted on our local runner’s FaceBook page. It was a good sweat and we had a great time, but it took me a while to get back there again. When you lead a busy life and are trying to “fit it all in” – I typically opt for the workouts that are a tad closer to home (this is about a 15 minute drive for me) and give me that heart-pumping cardio workout that I crave as a runner. 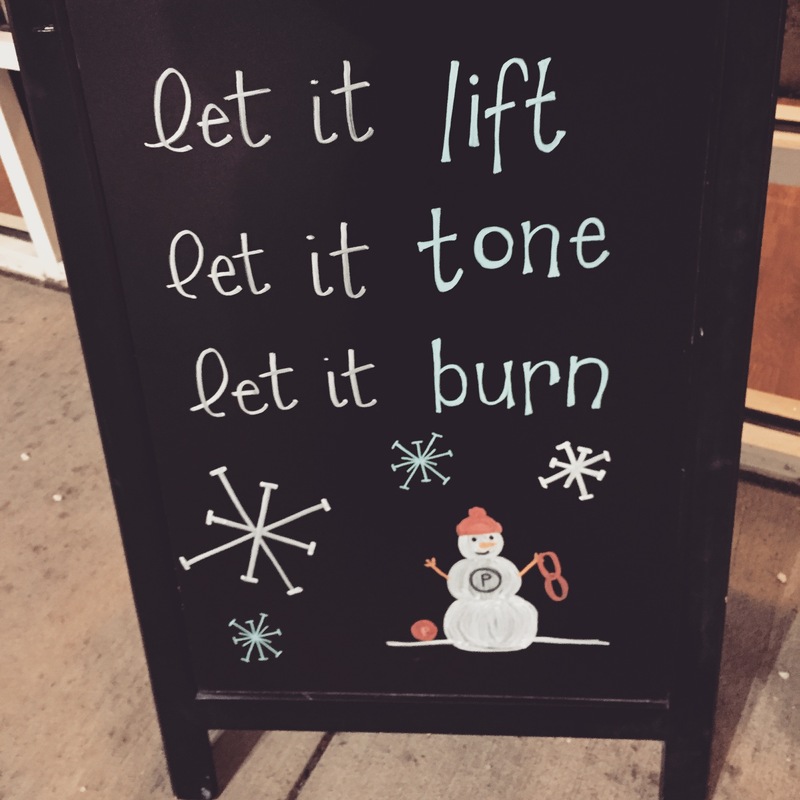 You are greeted by smiling faces as you enter barre3 Powell, usually the instructor or one of the associates. I love studios that welcome you as soon as you walk in and make you feel at home! There is a retail area filled with various brands and apparel items, a locker room area with cubbies and a cute child care area that is utilized by many moms. The studios themselves are bright & clean, with natural light flowing in (unless of course, you’re doing that 5:45AM class we’ve been regulars at!) And bonus for those of you on your way to work or a hot date – there are beautiful, upscale showers fully equipped with all the essentials! The barre3 method is stated as “where ballet meets yoga+pilates” – a quote from founder, Sadie Lincoln (hoping to recap the podcast I recently listened to soon!) You often start with a dynamic ballet or yoga type warmup, followed by time on the barre and typically ending with seated/floor work. At this location, they provide all the extras for you – yoga mat, ball, weights, towels – so all you need is yourself and some water. As I begin to ramp up for spring training and hopefully another sub 2 half at Cap City, my personal goal is to get to barre 1-2 times per week, while also getting in 1-2 strength sessions and 3-4 runs per week. I’ve made it an essential part of training and I am hoping it pays off by bringing me to the starting line healthy and injury free! Why did you decide on barre3 when your entrepreneurial adventure began? “I found barre3 after my third child was born. I had a background in both dance and running and had recently discovered yoga, but when I came in to take my first barre class, I was hooked. Watching someone move through a 60-minute class, you might assume that barre is an easy, light workout that you could use as a nice warm-up for a run. At least that was my initial impression! However, when I started moving tiny inch after tiny inch, I quickly became aware of muscles I didn’t even know I had. My legs were shaking, my heart was thumping, and sweat was dripping down my face. The workout was low-impact but high-intensity, and after finding a regular practice, I started to notice how I left every class feeling balanced and empowered, rather than wiped out and defeated. It was this feeling that led me to go through the instructor training process. What is your experience as a runner and what benefits does barre3 offer to runners? “I started running in high school, and the first race I ever ran was the New York Marathon in 1998 as a senior in high school. Since then, I have completed two additional marathons, eight half marathons, and several other smaller distance races. As I got into my late twenties, I started experiencing a lot of pain in my right knee due to issues in my IT band. I thought my days of running were done, but after several months of physical therapy, I was back at it. However, I would start to notice the pain again anytime I got up into high mileage during a training season. Six weeks prior to the Columbus Marathon in 2015, it was bad enough to sideline me for three full weeks (but I did end up making it to both the starting line and the finish line of that race!). We’ve planned a few meetups on our ROAD TO CAP CITY HALF training, we hope you’ll join us! The next time we’ll be at barre3 Powell is one week from today, our barre3 + runners community class next Wednesday, February 27th at 5:45PM! Use promo code RUNB3 and join us for FREE! Suzy will also be offering a special discounted five class pass so you can join us for more drop in classes on our Road to Cap City if you’d like. That’s it folks, time to go for a run. 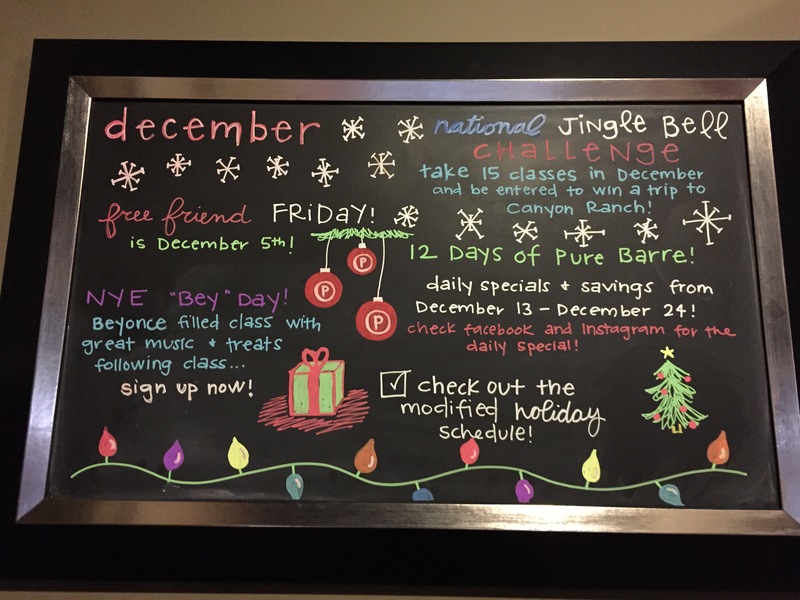 Hope to see you at the barre! Tanks made by & benefiting the Olentangy EntrepreNEERS Foundation, OOHS National Business Honor Society & Business Club. Email us at OlentangyEntrepreNEERS@gmail.com to get your custom tank in various fonts & colors, only $10-12 each! Although I’ve heard great things and have a friend who is a PB instructor, the $23 drop in rate was keeping me away – we love running, which is free, you know! Thanks to Class Pass, I was definitely glad we got to test it out. 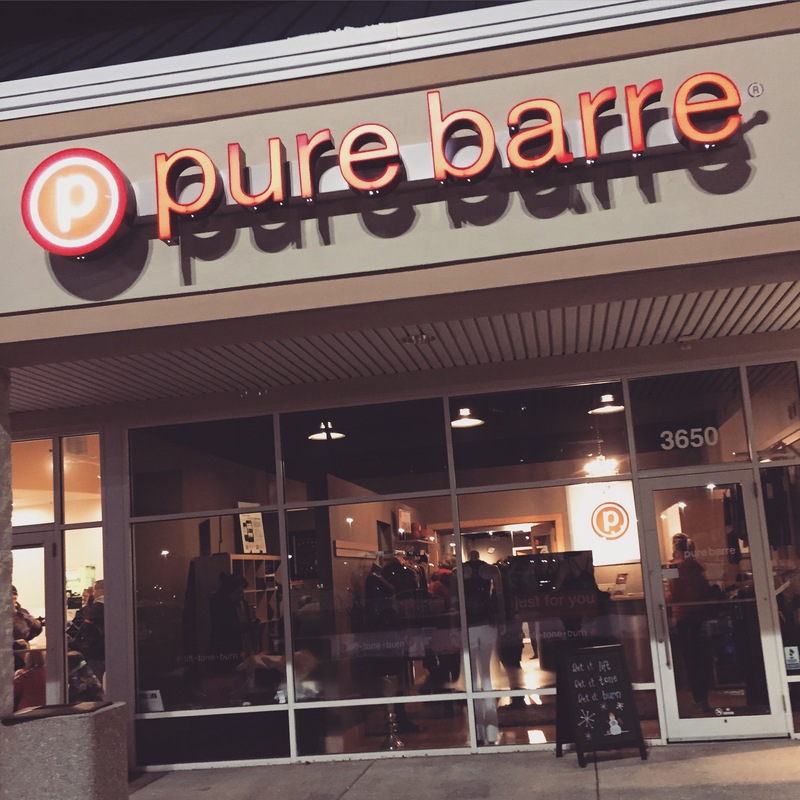 Pure Barre Dublin is located in a strip all off Sawmill Rd, conveniently located about 10 minutes from my house. When the weather warms up, we could ambitiously run there?! The workout was about an hour long & regular attenders are encouraged to wear “grip” socks – PB sells their own, of course. For this particular class, we were instructed to get a mat, ball & band. low impact – there were several pregnant mommas in the class. definitely different than our normal run+yoga routine – we love new workouts and mixing things up! Overall, we had a fun time together & of course, got some pictures. As a busy working mom with a hectic schedule, I probably won’t make it here often just because I have to be “smart” with my time and need a little bit more “sweating” to happen. I’m a cardio junkie, hence, the running group! But it was a great lower body workout and I am sure I’ll be sore tomorrow! 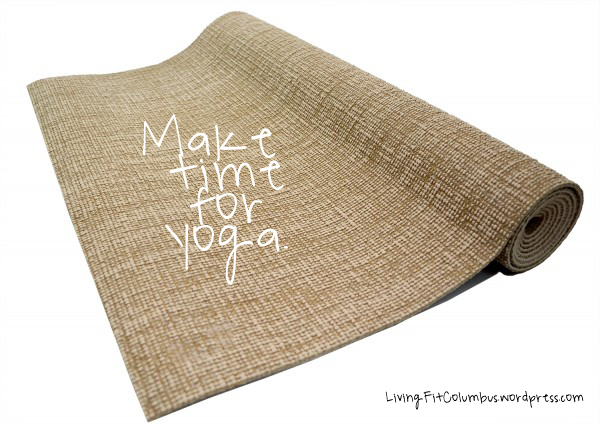 We’ve also taken classes with Rachel Wilson around Columbus at PAI Yoga & Fitness and Bend Active. 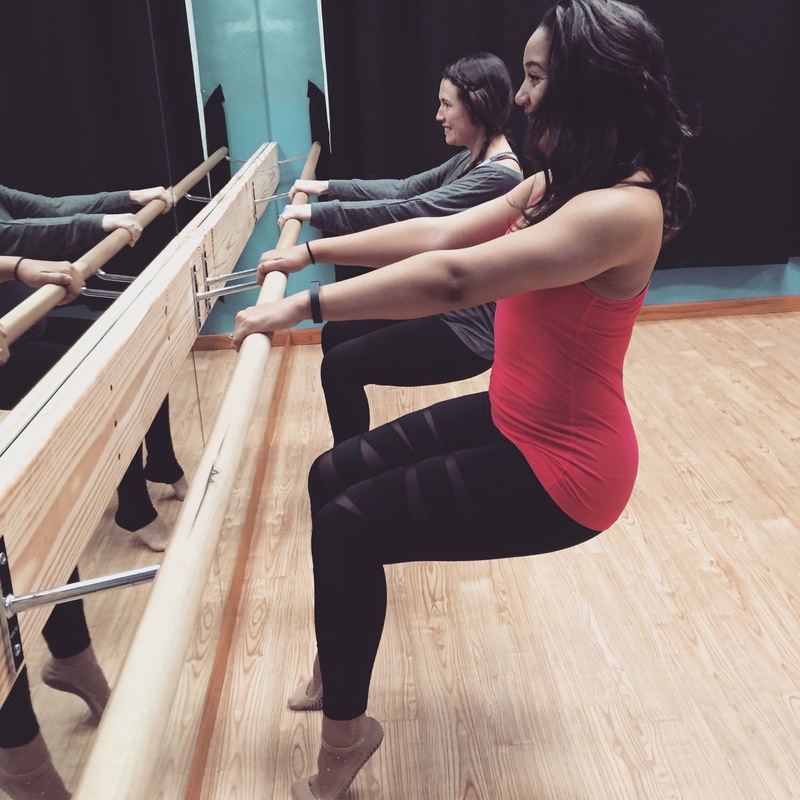 Her barre-OM method combines her passion for yoga & barre and will get you sweating & shaking! Check out our earlier interview with Rachel HERE. The Road to Cap City… and a GIVEAWAY entry! Pick your favorite FIT topic!